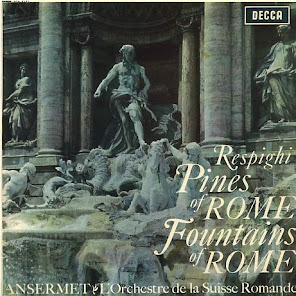 ASD 296: Schubert "Unfinished" Symphony, Incidental Music to "Rosamunde"
ASD 325: Schubert: Symphony in C Major "The Great"
Just happened to be noticing the Kempe Brahms. There is also ASD350 which is quite rare. Brahms Symphony 1. Yes, you're right. He recorded 1, 3, and 4 in stereo. I couldn't find an ASD listing for 2, which I think was recorded in mono or perhaps released later in stereo. I have the Testament 3 CD reissue of Kempe's Brahms. Again, a far less expensive way to acquire the recordings. 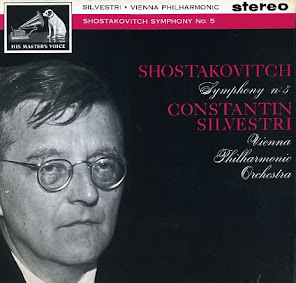 Just note that the stereo recording of Symphony NO. 4 is NOT in this boxed set but was released on a separate Testament CD. This one has stereo 1 and 3 and mono 2 and 4. The mono recordings are very clear, though. I don't think you've mentioned the Artist profile set on Kempe which is incredibly cheap. $40 for 11 CDs. I just got Classics for Pleasure CFP 131, Kempe Brahms 1. It delivers in a big way with a majestic sound and bass with soaring highs. The original ASD 350 is $1000. I can see why. Despite getting hosed by the seller, NM- that is lucky to be a VG+, I am enthralled. I've always listened to Brahms symphonies and kind of gone I don't get it. This LP is knocking my socks off performance and sound wise (and noise wise). I just finished tuning my old Benz Ruby H. Running 6.5k load and 290pf (interconnect and front end of phono stages adds another 240pf). I dropped the load down to 6.3k and lost the magic in the highs. Much more nuanced in the highs, everything else is improved. Beautifully balanced that is. This Kempe CFP reissue is the early CFP label. I don't see any later pressings. Sounds like an early black and white pressing and I've had some luck with these. I would never plunck down the near $1000 for the original with this LP now in my hands. My expectations would be so high, that the original would be sure to disappoint. I think I mentioned Kempe's EMI Icon boxed set (the one you're mentioning) in my comments on his ASD record "Nights in Vienna". It is incredibly cheap. My only qualm about that boxed set is that it doesn't have all of his best recordings. The Beethoven symphonies are the ones he did in the 70s with the Munich Philharmonic, not the early tube ASD ones he did with the Berlin Philharmonic (that ASD with the Eroica is very valuable). You get Brahms 3 and 4 but you don't get 1, the one you're listening to right now. You don't get his Beethoven Overtures on ASD. You do get, however, his well regarded Richard Strauss recordings. As a boxed set, it's a bargain, but if you want some of his other rarer stereo recordings, you'll have to get them from Testament. I'm happy to hear that you like your CFP of Brahms 1! I may want to look for that now, too, since I will also not eat macaroni and cheese from a box just to enjoy the white/gold pressing. How do you drop the load down on your cartridge? Can you adjust that on your phono stage? It was a pain. My phono stage is very high, close to the ceiling so it is hard to work on with the unit in the system. To adjust and listen you need to be able to swap in various combinations of resistors and capacitors. You don't want to have to pull the unit out to do this. I had too desolder out the original load resistor which was at the input jacks. I had some nice Caddock resistor with gold leads that were very thick. I attached four of these to make a posts for hot and ground, right and left. These allowed me to install the parts more easily from such a precarious position. I also had an assortment of noninductive bobbin style resistors that have solid tabs with holes for wiring to attach to (made before the days of circuit boards.) These I was able to slide over the gold pins without crimping (cleaned contacts with burnishing brush). I wasn't sure that would work well, but it made good enough contact for testing purposes and it allowed me to place parts with conventional leads through the holes without crimping. I made a spreadsheet with all the potential values I had with formulas in place and then when I wanted to lower the resistance or increase I could drop in the available values to the formula to get to the desired value. Optimum load R = square root of inductance over capacitance. This confirmed with just my load from interconnect and input capacitance that 7k was a good value. I could not find inductance values for my cartridge so I plugged in a range of possibilities. I would then model resistance with capacitance working around the possible capacitor values I could make. Got my jig together today for final tuning. Tried 220pf capacitor I had in place of 290pf combo and did not like it (the magical treble was gone). I might have had resistance too high since my calculation was an estimate because I could not measure the cartridge's inductance, nor find a spec. I went back to 290pf with the same resistor value which was low according to calculations. It sounded very good. Tacked in a 172k resistor to drop from 6.5k to 6.3k. That small change made the highs go dark. I have stopped at this point with the current good combination. I have the controlled bass and noise floor (sounds like it to me) of the 1k load, but a much more beautiful treble presentation. Overall it is brighter to be sure going from 1k to 6.5k, but the capacitor smooths things out while perhaps removing RF at frequencies beyond hearing range. It sounds different when I clean my needle with a brush, so just from that I can tell more overall treble coming through. As I write this I'd like to dial it in even more. I am very lucky to have some 560pf russian teflon caps (never see teflon that small). My 220 pf are a nice encased styrene that I had in supply for tweaking my active sub crossover. I am stuck making values from these. I will probably adjust my calculations based on the current sweet spot and at least try nudging the resistance around 6.5k in very small increments (which requires paralleling very high value resistors with the load.) I like crunching numbers so I may come up with something else. The formula is crazy, but if I pump in the values from the graph referred to above it shows them to be consistent. Using this formula with a 100 ohm load would require a 1.5uf capacitor. Now we are too big for Teflon (capacitor size of pop can). That seems crazy to me as this is the equivalent of a super capacitive cable. I expect that would sound like croak with a cartridge that likes a low load. The Benz medium seems to have just worked out. My little Teflons sound great. A cartridge known as being a smidge dark for a moving coil is now exhibiting magically extended and smooth treble. It seems crazy to do all of this by ear, but the formulas get you in the ball park and any final adjustments are always by ear anyhow so I went for it. The turntable setup guy has an expensive test record and uses a scope. I heard from others that he may play with capacitance some. Eventually I'll bend his ear on the subject. What is on the internet seems very crude, and I've seen quite a few postings (some involving the designer Carr of Lyra) stating that much of this information on the internet is wrong. Anyone reading the above, beware! It does not seem fair to write all this to answer one question. Interesting how few of the "Three Bs" the "Four Ks" recorded. Wouldn't have thought that was the case--weren't they the heart of the repertoire in the late '50s and early '60s? Hey man -- thanks for checking out the blog! I agree with you. I think Kempe recorded the most. He did the Beethoven and Brahms. In fact, Kempe did all the Brahms. Hardly any Bach from any of them, though, at least in stereo and on EMI. Kubelik did the Tchaikovsky late symphonies, which I think are fantastic. I have the Testament 2 CD reissue of those LPs which sound great and are worth it (the LPs always sell for $150+). I like Kurtz's ballet. His Tchaikovsky ballets are really wonderful. I love his Nutcracker recording, which has such a warm sound in which you can hear the acoustics of the hall. Kurtz's Russian recordings are also super. You can get nearly all of them on the out-of-print 2 CD set of Kurtz's Artist Profile on EMI. Kurtz Artist Profile going for close to $100 on ebay. I'd kill myself before paying that much for a CD. I'll happily tip toe around in the LP reissues at those prices. Its worse on many of the other labels. I am glad EMI has what they do. I see Klemperer, Szell, and Guilini (no. 1) on Columbia for Brahms. Do you have any favorites at least in the two B's from the early EMI catalog? Bach tends to be smaller scale. I saw Klemperer doing the Brandenburg's and that seemed a little out of place. I was just pulling some Brahms out of my own collection based on performance rankings, got a little bit of Solti, Abbado complete (DG), some Szell, and a lot of Bruno Walter. Four copies of the Epic Szell doing Sym. 1 (one is sealed, but only columbia special products pressing). 1. The Klemperer Brahms are considered reference recordings. I have 2 and 4 as semi-circle pressings. The blue/silver originals usually all sell for at least $75-100 a piece. Klemperer's Brahms have been reissued on CD, though, and they sound excellent in their digital transfers. You can buy them all for $20 or less. 2. The Szell Brahms are rare and very expensive. Szell's Brahms are also considered to be excellent interpretations. You've already read my reviews on these on the blog. I would revise my grading, though. Performances are still top notch; I'd bring the sound grading down a notch to maybe a 4. Very nice, but not demonstration quality. 3. I have not had a chance to listen to Giulini's Brahms. Those are also quite rare and don't show up anywhere near as frequently as the Klemperer set. Like the others, you can buy a boxed set of all of Giulini's Brahms on EMI at budget price. I believe it was just released last year. The Solti Brahms is nice, though I don't own it (I listened to a library copy). I think my favorite Brahms' cycles include James Levine's (with CSO on RCA), Christoph von Dohnanyi's (with Cleveland on Warner), George Szell's, and Gunter Wand's (with NDR on RCA). Just read this comment again. I have the Klemperer Bach Brandenburg on LP (semi-circle SAX) and on CD (just released in one of the Klemperer boxed sets on EMI to commemorate his birthday). I was, like you, skeptical about Klemperer's Brandenburgs, but honestly, they are very pleasant to listen to. Very clear orchestral textures. Tempos are not the swiftest, but they are not stodgy either. They are worth a listen. Don't expect them to sound like the period instrument recordings of today. I eventually will land all the Szell Brahms on Epic/Columbia. For me, it's a combination of sound and performance. If you've got Kempe Brahms on vinyl does it match Klemperer on this criteria? While we are on the K's, there is Kubelik on London Blue Back and an early STS box (got them all except one of the blue backs). I've not been a monster Kubelik fan. His Dvorak 9 BB is fine, but I like Kertesz (call me strange, but I like the VPO performance, not the LSO that everyone really likes). I have not taken to the Brahms, but it has been years since I've listened (they are sitting on deck hear). I don't have a Kubelik I adore, so interested to acquire a few of his emi recordings as you've listed. I'll add a Kletzki to your list. 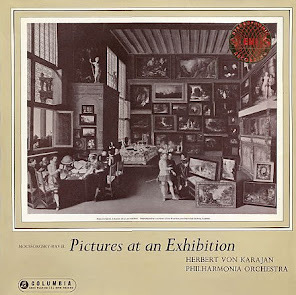 SXLP 20026 Rimsky-Korsakov Scheherazade. It sounds more like an early ASD recording than a blue and silver SAX. I've got Reiner, Ansermet, and Monteux (and most of the rest). I've not done a head to head, but I guarantee you for the money the Kletzki cannot be beat. To make life confusing, the Angel version of the Beecham recording has the same cover as the Kletzki. 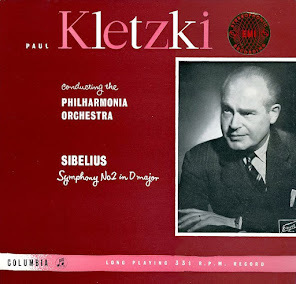 I probably will like the Kletzki best as I seem to like to listen to it. Kletzki is my current top choice if forced to pick. The large bass dynamics may be a bit reserved (not over blown), but the sound is very beautiful. Kempe's Brahms on ASD is excellent. I like the sound quite a bit. I have the 3rd and 4th symphonies in white/gold. The fourth cost me an arm and leg, but I found it on a UK dealer's web site for a price which was a little less than the going price on Ebay. Kubelik's on Decca/London are decent, but somehow I was not super impressed with the sound quality. I like Kubelik in general. His Tchaikovsky 4-6 on EMI are enjoyable, at least in its CD reissue. They could sound even better on LP. I have heard some of his Dvorak, which are considered to be reference versions by some. I have the Kertesz Dvorak boxed CD set on London and have owned the New World as a Blueback. I like that one, but I prefer Silvestri's New World which was released in its original form on French ASD(F) and is quite valuable. My favorite Kubeliks are his early EMI ASD recordings. His ASD of the Borodin Symphony NO. 2 and Polovsian Dances is amazing. Excellent sound. I have the semi-circle 2nd pressing, and I doubt that it is in any way inferior to the white/gold. I also have ASD 325, ASD 347, ASD 349, and ASD 617. I was hoping that 617 (Mozart symphonies) would be super, but I found it to be only okay. ASD 325, 347, and 349 are all great. I should mention that his red tulip label DG stereo recordings are also very nice, though the sound quality is not quite to the same level as his EMI. I think his DG sound better in digital reissue, to be honest. I haven't heard the Kletzki Scheherazade. I don't believe that was ever released as an ASD. I was having this conversation with another collector friend of mine, who loves Scheherazade. It's not one of my favorite orchestral works, to be honest. I have a hard time sitting through the whole work. He feels the same way about Pictures at an Exhibition, which I much prefer. 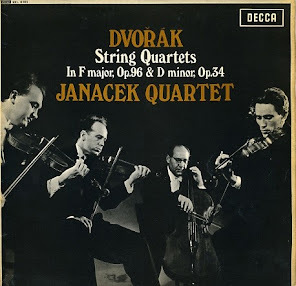 The Kertesz/VPO Dvorak 9th is indeed his finest, in my opinion. I graded it wish a 9/9+ (my scale is similar to Michael Gray's BBC scale. 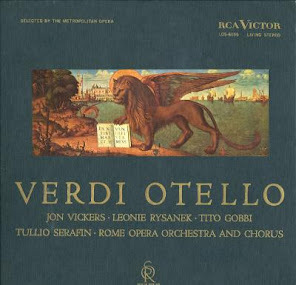 My other favorites are, Barbirolli/Halle 9+/9- on Pye circa 1965; Rodzinski/LSO 9+/9 mono Nixa/Pye/Westminster; Walter/Columbar Symphony Orchestra 9+/8+ 1958, Szell/Cleveland on Epic 9+/8;Reiner/CSO 9+/6+.Kempe, Karajan,Mehta,Horenstein, Kubelik, Toscanini, provided performances that ranked between 8- and 8+.Horenstein was afforded a 9+ for sound, but his performance as not as special as those in the highest rank. I ranked Ludwig,Ancerel, Fiedler and Kemper in the 7+ range. This was done only for president 1970 recordings. 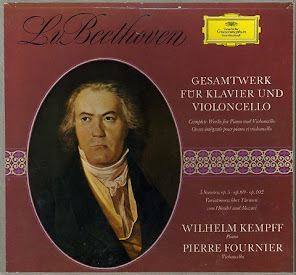 Worst sounding recording was Kempe at 6 (an evil Arabesque re-issue of the EMI) followed by Reiner and Klemperer. Sorry about some of the strange auto corrections above. Typed out on a phone while listening to music. I'll try to correct at some point when I sit down with a real PC. Thank you for sharing your thoughts and ratings! Something, I really need right now is a top ten list for EMI and Columbia. I don't want the ten best LPs, or the ten most expensive. I want the ten that give the most bang for the buck. Surely, there are some great performances with great sound that sold well enough to fill the cognoscenti' coffers and leave plenty left over for the rest of us schleps. Seeing the plethora of Beecham Scheherazade at low prices brought this to mind. I've seen some dealers try to charge a bit for the Kletzki Scheherazade, but it has a pretty good supply so prices stay low. I would hope these would be $20 or less, but it would be your call. Something absolutely stupendous for $50 would work. Items with reissue pressings would work too. I am working on lists for budget labels. My audiophile record collector's handbook and london blue back guides show some of these links, but they are always ordered by the original SAX, ASD, or CS/SXL pressings. I have a very complete list for STS up through the first 150 or so. I have nearly complete Concert Classic SXLP and Regal SREG pressings. I am in the midst of linking the SXLPs to their exalted brethren. The Regal list is complete. I also want to add a listing for ASD and SAX releases that have reissue pressings. I am so obsessed with EMI/Columbia that I now want to acquire at least half a dozen recordings in multiple reissue pressings. Sonically, these all give stiff competition to the originals. Robert Moon stated that often the later pressings on London were better than the original blue backs. I've not heard one better a blue back, except perhaps for some of the early stereo treasury (Karajan Also Sprach for example). Just before getting on my EMI kick I had cross referenced all my various copies of London recordings (some originally shaded dogs licensed to RCA). Some like the dutch Golden Import Mercuries. Generally, the original dawn of stereo pressings are superior. EMI/Columbia is the one label where the latter pressing quality is so strong that one does not feel second rate when not in possession of an original. My acquisitions of later pressings has been very successful without one dud in over 50 records. I would say with reissue pressings I am extremely pleased with almost 100% of them. So maybe we need some top tens for the EMI and Columbia newbies (that's me!). Top ten best sounding for the money on the original pressings. Top ten best sounding original pressings. Then maybe someday a hot reissue list (when I've got them all, I can do this). Great ideas all around! I like the idea of the top 10 list. It'll be a challenge to compile, since as you say, it'd be ideal to list records that are ACCESSIBLE. No need, for example, to list Leonid Kogan's Symphonie Espagnole recording, which you can get for price of $5000 ... chump change. I'll have to give this one some thought and propose a list. The Beecham records, I believe, were big sellers of the time, so there are a lot of pressings, and they are not particularly expensive. Sadly, I also don't find them to be particularly great sounding records, so although I own a half dozen or so, I hardly ever listen to them. Sad. I have never considered putting together the reissue list, but it could be noteworthy. When I decided to collect the EMI and Columbias, I wanted to get the originals or second labels, because I really liked the album covers, too. That's been one of the reasons I collect them, in addition to their excellent sound. I have found that later Blueback issues that are still wide band (instead of FFSS they just say STEREOPHONIC in large caps) are excellent. I have a few that sound beautiful. Better dynamic range than the FFSS. I believe this had to do with using newer technology to cut the masters. Only experimentation will confirm this hypothesis. The Dutch Golden Import Mercuries are a mixed bag, but there are some gems. In fact, there are a few that are better than the original Mercuries. The surfaces are much quieter than the original Mercuries, which always seemed to have a lot of analog tape hiss. The ones I'm talking about are 1) Chadwick's Symphonic Sketches and Piston's Incredible Flutist, 2) reissue of SR 90144 -- Hi Fi a la Espagnola. Supposedly, even the Classic Records reissues of Dorati's Firebird and Prokofiev Love for Three Oranges are highly collectable and excellent in sound. I have owned the originals (and sold both of them on Ebay) but never heard the reissues. Only reissue I own is the Janos Starker Bach Cello Suites in the limited edition boxed set. Bought it 10 years ago and still enjoy it. Call this a bump for these top 10 lists. My phono stage specializes in eating tubes and I'd just acquired some freshe meat for it. Ate all my gold pin Amperex 5842s. Sounded better with some Ericsson 5842s. Then it ate those fairly rare tubes (one had ringing issue from the start). Just got half a dozen more Ericsson, but with a different getter. A different sounding tube and even better. Ended last night with my Karajan Water Music postage stamp SAX and it was even more wonderful. Then finally the blue and silver Peter and the Wolf. It improved greatly and was astounding. Buddy left and re-listened to Maticic Russian Orchestral Favorites. It was better, but the blue and silver Peter and Wolf (and Haydn Toy Symphony) were much better. (By the way, Toy Symphony had the crazy break up you speak of). I may officially have the Blue and Silver bug now. I need some direction, maestro, and top ten lists would be a start. Both of those Columbia's were really something. Your tube drive phono stage sounds wicked. How much did that set you back? I have a "budget" phono stage -- a Musical Fidelity V-LPS II which I've been pretty happy with, but maybe someday I'll elect to upgrade it to something nicer. I see you have caught the fever! Just be careful not to burn a hole in your wallet. =) It's very easy to do that if you dedicate yourself to collecting these Columbia SAX records. Let me take a look at the ones I've purchased and try to compile a list for you. It will, of course, be somewhat subjective, but I'll do my best to be critical. I'm glad you enjoy Peter and the Wolf. I haven't heard that one, but I'll take your word for it. I'm sure that it sounds far better on your system than mine. Sorry I did not see this (no email). My new friend the bassophile modifies a high end solid state preamp (full mod $6500). Both of our preamps are kind of moving targets as they are always being improved. I do no want to hear that on my system as he recently is supposed to have made a big improvement. I don't have that kind of money right now! I've got a pile of modifications to do to the system that will keep me busy/happy for years. Lots of capacitors and soon better integrated circuits (I hope) for my bass crossover. Most of these will not be minor changes. Its like getting a new component every time you change something. You get your audio buzz with each improvement. I think the phono stage and line stage together were about $1000. Friend and local tube repair guy built that and my two pairs of mono block amps. He's got lots of vintage parts and does not care much about cosmetics (except for his solder joints!). He does tune his stuff quite a bit, but not to the level of some high end manufacturers. This preamp is giving me so much trouble that with friends like this I don't need any enemies. I probably need to ditch the power supply for another one more like the original design. However, this takes quite a bit of money and it will definitly sound very different. I probably need to make a minimal investment and get another power supply and see what happens. Right now I am basically having open season on my solid state crossover. The parts quality is just competent in the original component. As I get braver I will work my way up the chain to the phono stage. The bass crossover is not in the signal path except for the subwoofer. It does not sound exciting to tweak, but it is quite the reverse. Changes here affect how the full range of the system sounds. I did my import of the early ASD and SAX to spreadsheet. The first 215 on my SXLP list are very solid with the original ASD/SAX numbers, prices, and alternate pressings (British generally). I intend to show available pressings and prices on the ASD and SAX lists. Glad I got this started as I may lose a lot of interest if I determine that I'd rather have less titles and more SAX/ASD originals. It will take at least a month to get there as I've got a lot of other activities stopping me from listening sessions. Gosh, I'm curious as to how the SAXes and ASDs I own would sound on your system. You must have quite a setup. I've never really thought about tweaking my system. One, I don't really have the technical know-how to do it, and two, I doubt that I could afford it long term! For now, I'm pretty content with my system, but I do like to hear about different ways that I could potentially improve the sound quality. Do you have a dedicated listening room? Tweaking can be relatively expensive I suppose. Its perverse, but there are teflon capacitors that cost more than your phono stage. Their certainly are much cheaper tweaks than capacitors. The best resistors (bulk foil, new technology) cost around $15 a piece. Using those to trim and shunt a volume control can make a big change in sound. When I bought and redesigned my house, I did not put in a dedicated listening room. I have a large great room area. I did put in eight dedicated lines and paid attention to room dimensions. All of my wall are of special construction (some are double drywall, some with green glue in between pieces, all walls use blue jean insulation, and the glue for my wood floors has damping properties for footfalls. I like the accessibility to the kitchen and dining, but with a family a dedicated room can be nice, especially if listening later at night. My bedrooms do have a great deal of isolation from the living areas. I'd like to hear some premium emi classical on my system, so the grass is always greener on the other side. I included four extra blue and silver titles that were priced at or above the second semi-circle. Also included are codes for alternate releases of the same recording (most of which can be had cheap). Any additional prices are those for the semi-circle pressing and then the magic notes pressing (Bellini, Norma has all three pressings). I did not include any angel pressings, and generally did not list German, French, Italian, or Australian pressings as I feel the British reissue pressings represent great value and better sound for the money. This is actually a top 15 as I couldn't resist expanding the list out to include two pressings that I own, B&S SAX2375 and the MN of SAX 2389. I love both of these records though my Toy Symphony has quite a bit of break up. I'd say the priciest SAX are all rare and considered top performances. The low priced options were at least popular based on the number of pressings. These are all roughly near mint prices and can be had cheaper since they are very common and excellent condition pressings abound. I don't know if I trust my list for the semi-circle and magic notes pressings as I relied on recent sales to detect these. Popsike does not pick up these cheaper pressings. I easily could be missing quite a few. I would guess these to be a value for performance/popularity and sound. Perhaps these represent the best performance and sound combination? I won't vouch for any semi-circle SAX pressing as I dislike every one that I have. The sorting criteria are not fair as many titles may have already been farmed over to the concert classics and regal pressings. Probably a very good indicator of performance quality is whether or not EMI did reissues on other labels. I'd be very interested to see what the host of this blog thinks of these lists and hope they may be of help in working up some other top ten lists. Overall, the pricing of SAX Columbia is higher than any other label. It is amazing and disgusting at the same time. Thank you very much for your extensive contribution to my blog! Those are wonderful data for anyone who is interested in investing in these valuable records. If I may ask, what were your references? Did you use collectorsfrenzy or popsike? I think you are pretty spot on with the top 10 most expensive. I think that those are priced for their rarity, as opposed to their actual sound quality. The Kogans in particular, I believe, are rare (although they actually do sound great, too). Notice that there are a couple of Szells, specifically the Beethoven 7 and 9. I tried to bid on the 7 a couple of times but was always outbid. However, I'm just not convinced that that record is of outstanding sonic quality. I have listened to the Epic US release of both, and neither blew me away. I have the Sony Original Jacket CD boxed set of all of Szell's Beethoven symphonies; those have been remastered and sound very nice, but I do not think that the LPs were audiophile legends. They are just rare. I will post a few more reviews later today, one of which is a rare Szell. Most of the Epic stuff is pricey even in later SAX except for perhaps the Rosen Epic releases. I suppose best sounding copy of a great performance is the rational. Perhaps a handful of wealthy collectors who want every LP is a factor too. Some of the Rosen Epic releases can be valuable, too. The later ones are not so much, but some of his earlier ones (e.g. Schubert Sonata, Debussy Etudes) can sometimes go for a decent price. One of the more common Szells is his recording of Debussy's La Mer and Ravel's Pavane. That can usually be purchased on Ebay for less than his Beethoven or Brahms. That was a semi-circle first label pressing. It's nice but not outstanding, and that may be why it's not as appealing. I don't usually associate Szell with French music, period. I am going to start working on the ASD's. I am hoping to have all of that cataloged in a spread sheet within the next few weeks. I am a little under the weather right now so may not go on vacation. I am thinking that the ASD and SAX lists with the alternate viable pressings would be a great resource. I've got partial access to some mag writers in the area. The current MO on EMI is that the later pressings are better. From what I've seen, EMI did not start showing up in the USA until the later 70's. I expect there is some real ignorance in the audiophile community as to the quality of these recordings. The going prices are evidence enough. My email is in my contact info for the blog. I am going to be job hunting within the month, but while I wait this subject greatly intrigues me. I am amazed by the sound quality of not just the originals, but the EMI reissues. I still think that the reissues may be better than the original gold and creams. With Columbia I now have serious doubts. With the work being done by the Electric Recording Company the time looks to be ripe for EMI. If I am not up for travel tomorrow I am going to call big audiophile in the area who has availability this weekend. I'll see what he thinks of the records. Local good friend and audiophile who heard my SAX was impressed and wants to hear more. These are certainly rare. Not sure if they are the best. These probably all have a lot to offer. Wow! Thanks for compiling and posting those lists! I would agree with you -- price does not necessarily guarantee sound quality and probably is more indicative of rarity. This list is not entirely fair as some items not on here were pulled over to cheaper reissue labels. This is all ASD on the 4 labels. Michalengeli wins! These all must be decent LPs, but the ones without reissues may not be top performances. I'm all sorted out. The Expert blogger needs to provide us with the real top 10s. I own quite a few of these and I may update with whether I like them or not. My weakest one on here is ASD334. Its decent but a more recessed sound. I concur with your later London wide band thoughts. The narrow band pressings went to the various generations of high tech Neumann Lithium cooled cutter heads. Those are supposed to be the good ones. I like early FFRR pressings on London. I think that is what you are talking about (the FFSS is gone). If not tube cuttings themselves they certainly do work well. More dynamic, better bass, and no funny highs. Unfortunately, those funny highs with full on tubes in the original pressings are what gives them there charm. I've got one these nice pressings of CS6001 Midsummer's Night Dream and an original blue back. Only the blue back has the wonderful magic. Gone in the nice dynamic pressing. However, if your blue back sounds like a sick cow with poor dynamics, then these later pressings can help. I love my Campoli Bruch Scottish Fantasy on STS. Just a carpet of wonderful bass. Really sounds 100% tube, but I don't think it is. I'd say the bassier and more dynamic the piece the better the chance that these could even be superior to the original. Flowery, delicate fluff like CS6001 is best left to the FFSS blue back pressings. I was in the midst of exploring these very pressings before I went EMI crazy. I've got tons of nice blue backs sitting around against the wall on deck for listening. I'm not very good with Decca vernacular, but I'd say the wideband FFRR and STS pressings with groove might be best. ... Getting ready to ocr scan some ASD and SAX lists into excel. Have not done OCR in a while. You're lucky to have a copy of CS 6001! I've never owned that as a blueback or Decca, though I have the remastered CD. That is one of the very best Deccas! No doubt the Blueback sounds excellent. I have definitely experienced the less than optimal dynamic range of some of the early Bluebacks, but somehow the good ones still were excellent. Example: Peer Gynt with Fjeldstad and the LSO. I like some of the mid to later Bluebacks better, though. Ansermet's Debussy and Ravel. Monteux's Debussy and Ravel. Ansermet's Three-Cornered Hat. Even some of Argenta's recordings, Espana in particular, are wonderful. I have a blueback of Argenta conducting Debussy's Images, which is nice but doesn't sound quite up to par with the Munch RCA recording, Reiner RCA recording, or the Martinon boxed set of Debussy on EMI. I've got two CS 6001s of course. The blue back guide does not rate it super high, but I really like it. Another favorite I just sort of took back from a friend is one of my london duct tape specials; CS6191 Mendelsohn Scotch Symphony and Hebrides Overture (Fingal's Cave). It even has some blue duct tape. I've got one of those early FFRR pressings that I kept, but it does not cut the mustard. My friend the basophile was up with his identical copy and I was not happy to be without the FFSS blueback. Its in pretty rough condition, but I want to hear it again. I need to Indian give another I think he has (I am a bit like a dragon with its treasure) another duct tape special which is some Berlioz overtures in the CS6200s. I've got a Super Analog of that Monteux (My Kertesz New World is Super Analog) and I've been quite upset since finishing second place on the BB at $13. Another one is coming up with all those EMIs, so I am already pessimistic. Those mid to later blue backs are at the top of london listening list. I need to listen to these as they have been then only contenders with EMI/Columbia. The Monteux on Decca just sold for $500. I feel like a fool for letting that blue back slip by a couple months back at $13.